An elegantly designed “P –shaped” bath, robustly constructed with either LH or RH inward opening door options. 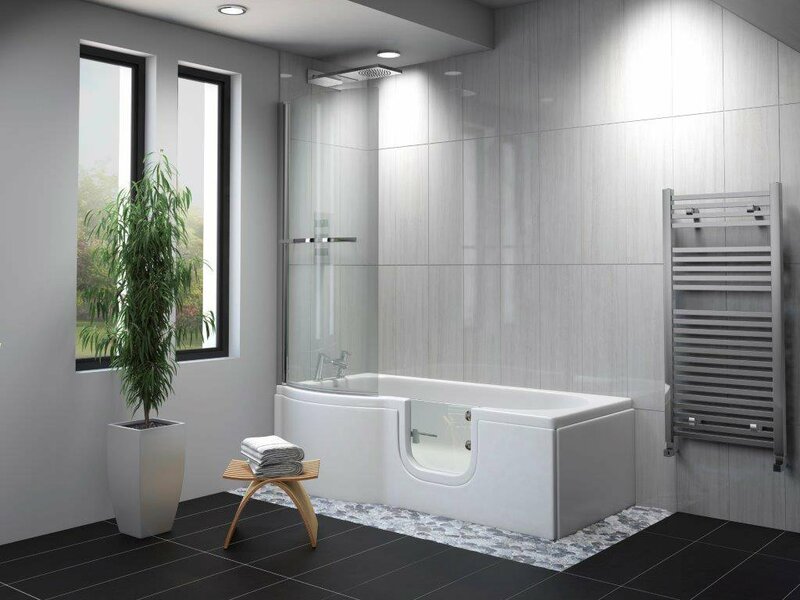 This bath is similar to our Calypso P Bath but features a special glass door for a more modern look. This contemporary bath is a versatile solution for easy access bathing and/or showering. It has a simple latch lock for effortless door operation. Included is a toughened glass shower screen with bright silver pillar and handle, along with hydrotherapy spa options. Toughened glass shower screen with bright silver pillar and rail. All prices include delivery, waste kit and front panel. Price is plus VAT, but in most cases the buyer would be VAT exempt, please call to discuss.